Professor Susanne C. Brenner was named Boyd Professor by the LSU Board of Supervisors on Friday, December 8th, 2017. Established in 1953 the Boyd Professorship is the highest and most prestigious professorial rank awarded by the LSU system, and it is given only to professors who have attained national or international distinction for outstanding teaching, research or other creative achievements. It is conferred on the recipients for life. Susanne C. Brenner received her PhD in 1988 at the University of Michigan. She joined the LSU math department in 2006, coming from the University of South Carolina, where she was Professor and Associate Chair. Her appointment is joint with CCT, where she is the Associate Director for Academic Affairs. In 2015 she was named the Nicholson Professor for Mathematics. Susanne C. Brenner's research interests lie in Numerical Analysis and Scientific Computing, In the LSU math department she built-up and leads the very successful Scientific Computing group. She published over 100 papers, and she currently is on the editorial board of eight journals. The NSF appointed her last year to its Advisory Committee for Mathematical and Physical Sciences. Susanne C. Brenner is an AMS Fellow (Inaugural Class), a SIAM Fellow and a AAAS Fellow. This year she received the SEC Faculty Achievement Award from LSU. 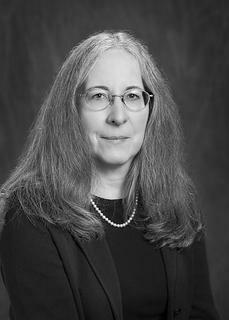 Boyd Professor Susanne C. Brenner is the 48th. professor on the LSU main campus that was awarded this prestigious title.